Heart breaker alert! 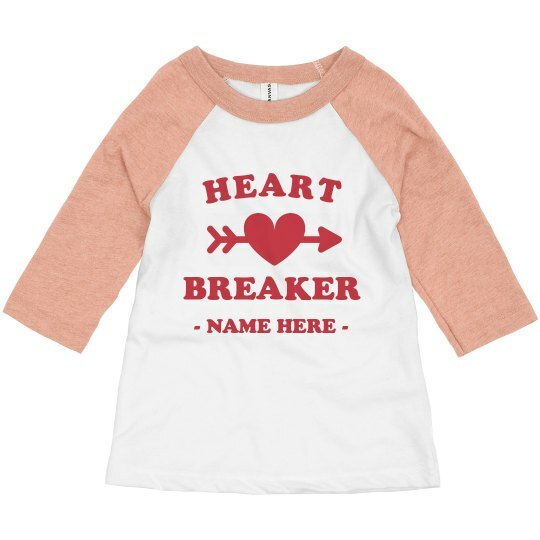 For Valentine's day, snag this cute custom shirt and personalize it for the future heart breaker in the making. Boy better watch out before their hearts get thrown with arrows by cupid.